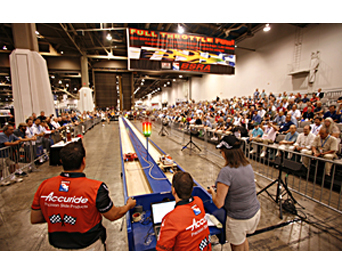 One event that sets the AWFS Fair in Las Vegas apart is the Belt Sander Racing Association Championship sponsored by Accuride. Complete with starting lights, a 75-foot custom track, wild custom racers and crazy action, the event always fills the grandstands. But this year, the event should be even more exciting as Accuride has added a “Crash & Smash Demolition Derby” to the action. Participants with sacrificial sanders are invited to participate in the head-on “Crash” segment or the “Smash” segment, where sanders will careen into a post specially designed to cause sanders to break apart. Contestants will earn prizes, with the most spectacular crash taking home a special trophy. The National Championship Races feature speed-obsessed competitors who race stock and modified belt sanders down a 75-foot wooden track. The fastest and best-dressed sanders take home trophies and special awards presented by Accuride. “We’re expecting serious speed this year. The track record is 2.42 seconds and we have some intense competitors determined to trounce the current record,” said Goodwin. 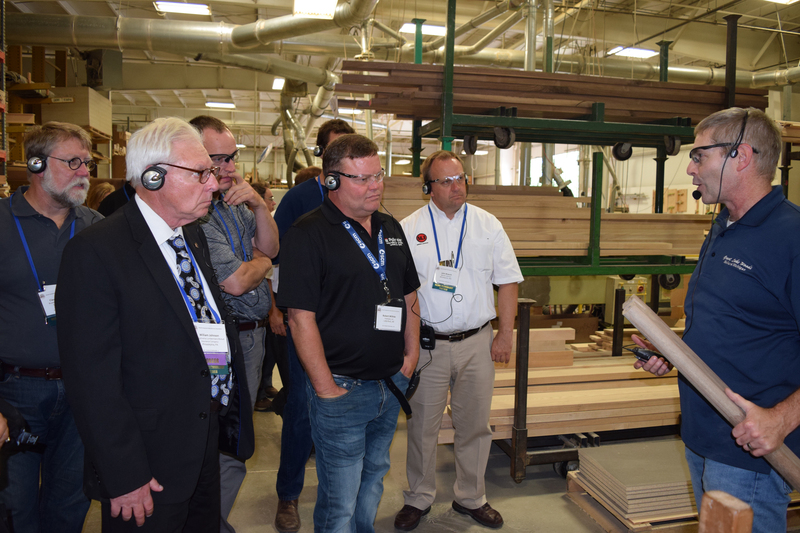 The Belt Sander Championship Races are a highlight of the AWFS Fair, with more than a thousand people packing the grandstands to see the grit—and sometimes sanders—fly. But even when the sanders aren’t racing, they are entertaining, as many come with spectacular and outlandish decorations to compete in the “best dressed” category. 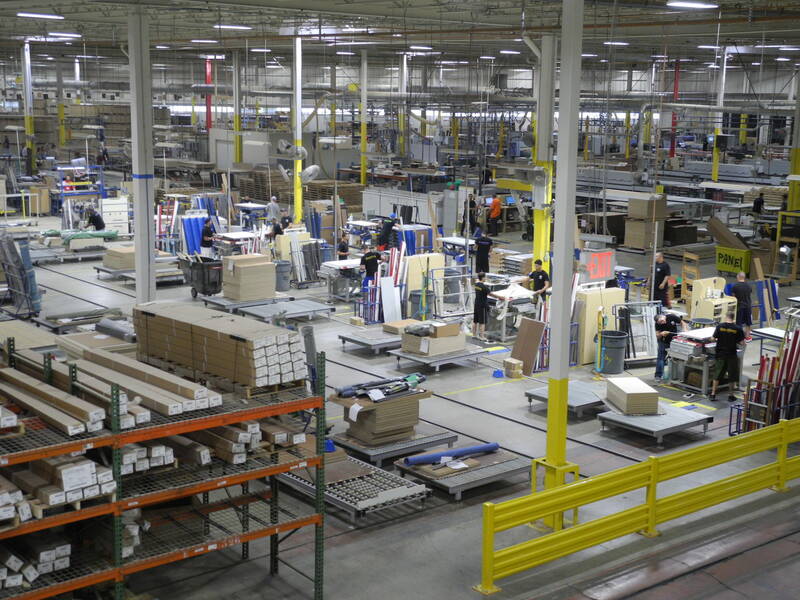 The festivities begin at 4:00 p.m. on Thursday, July 25, in the convention center’s Central Hall, booth #9746. A limited number of sanders will be admitted to the championship races and Crash & Smash Derby. Those wishing to participate in either event are encouraged to register early to secure a position in the competition. For more information about Belt Sander Racing and the BSRA, event rules and regulations, or to register to compete, visit http://www.accuride.com/bsra.